It’s been a while since my last time here. I’ve kinda took a ‘vacation’ from blogging, in part because it is the holiday season and there are lots of things going on, such as shopping, planning the holiday dinners, and more shopping. 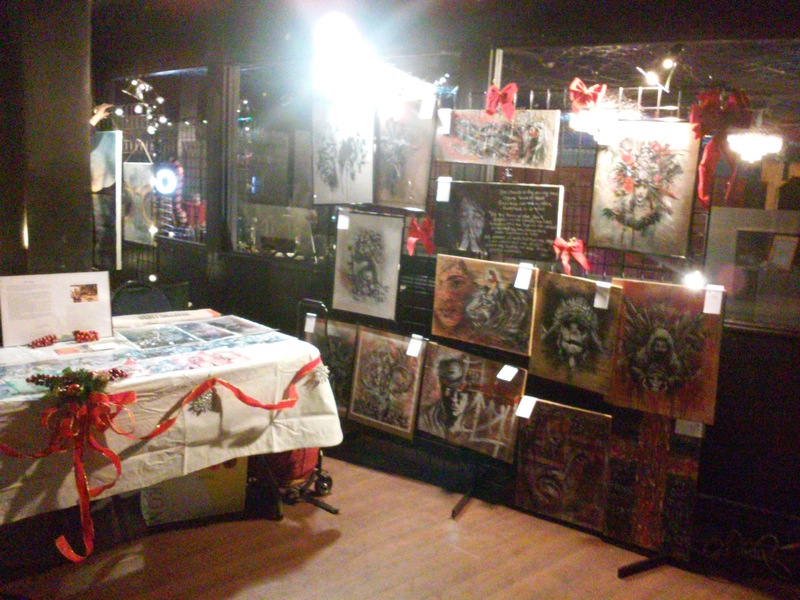 I might also add that this past weekend I’ve taken part in my first official group art show, and getting ready for that was a hustle and a bustle. Hosted by RAW, a non profit that promotes the underground arts scene, they operate in numerous major cities throughout the US and beyond including Australia, the U.K., and New Zealand. Each city hosts a bimonthly one night show that brings together showcases of visual arts, dance, live music, and even a fashion show. The arts categories include but not limited to painting, graphic design, jewelry, hair/makeup, to name a few. You can say it’s like a revival of the New York art gatherings at nightclubs in the old days, when New York was still the place to go for all budding art wannabes. It’s a great opportunity for any fledgling artist to get that first hand experience at exhibiting their stuff to the public, without all the red tapes of a conventional established art shows that only the rich and famous can afford to go to. You can find out more about the agency here at rawartists.org. 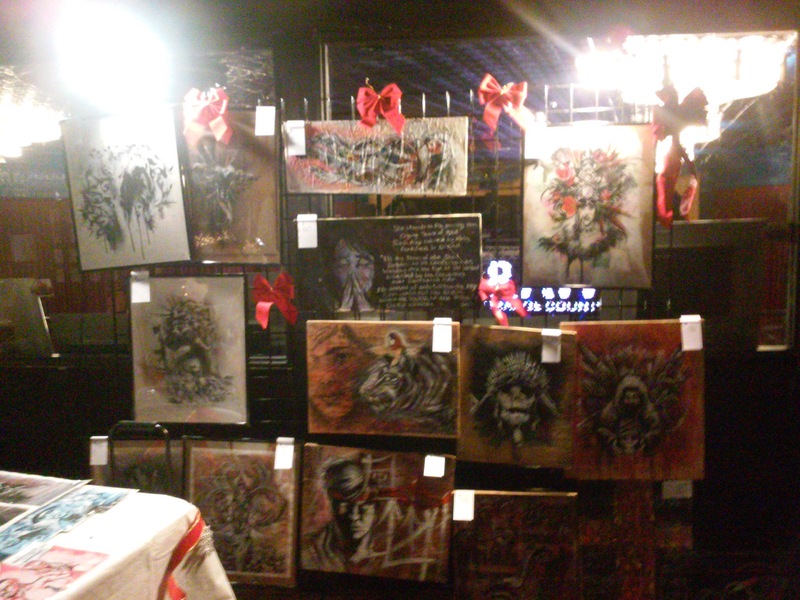 This was my booth. Recognize any of the paintings? Since it is the holiday, I put some Christmas decor to the table. 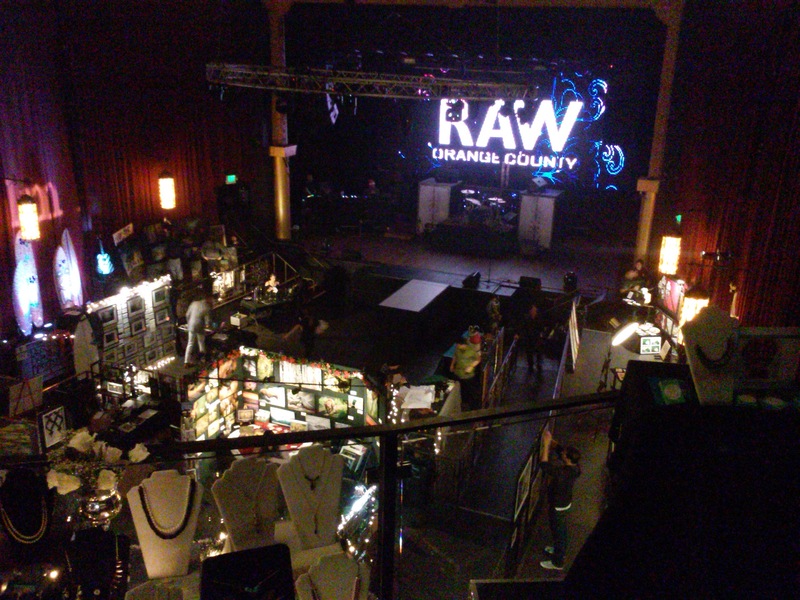 The site of the show. 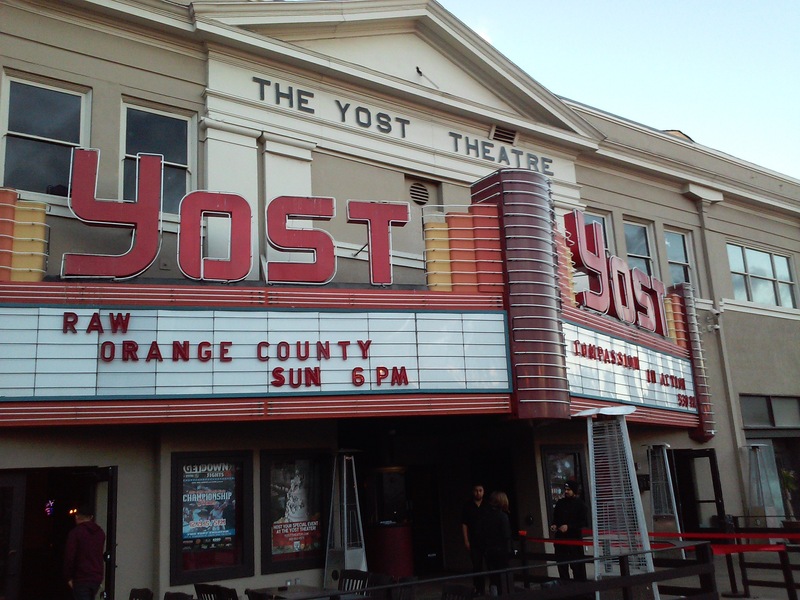 This Yost Theater is the oldest structure in the heart of Santa Ana Arts District. Here is a pretty good view of the main stage. 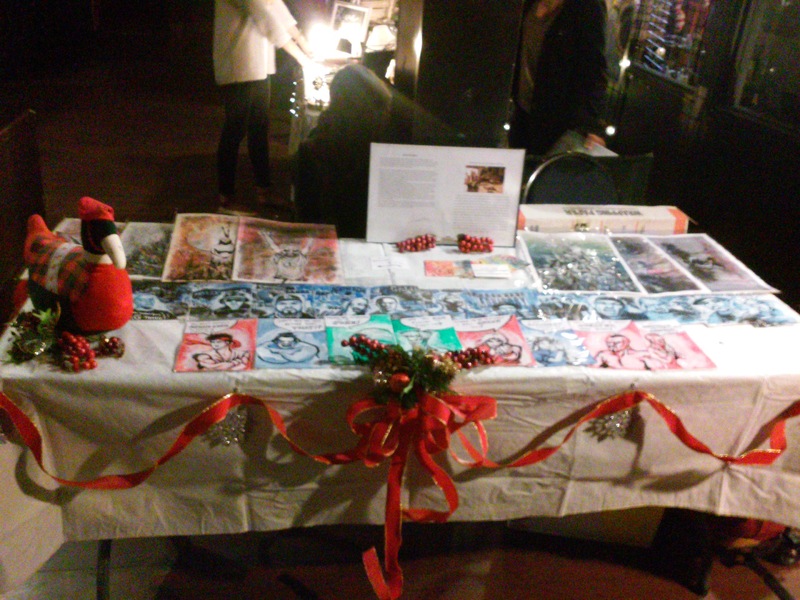 My booth was on the second floor. Overall,it had been a cool experience. My only complaint was the whole thing felt a little convoluted; having dance performances (including a pretty risque pole dancing troup) a fashion show and a hair art show all in four hours time doesnt give much room for every vendor on the floor to get all the attention they seek. But then i guess thats why most come back for other shows. Which is what I plan to do come the year 2016, with some new works to show. I can already feel ’16 is gonna be busy with plenty new stuff to work on, and I’m just going to spend the rest of this year sorting out the schedules and save whatever new work I have completed to put up next year. I hope to see you back here, and meantime, have a Merry Christmas and Happy New Year!